In this post I'm going to talk about something a little different. 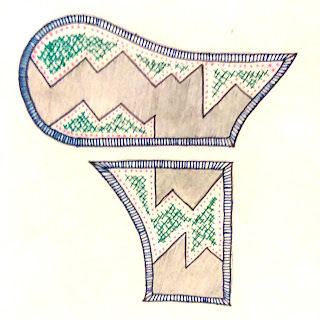 While most of this blog so far has been about making this one is going to focus on sketching. I've showed sketches before from different stages of the design process but the sketches here have little to do with the design process. They are, however, important for completely different reasons. 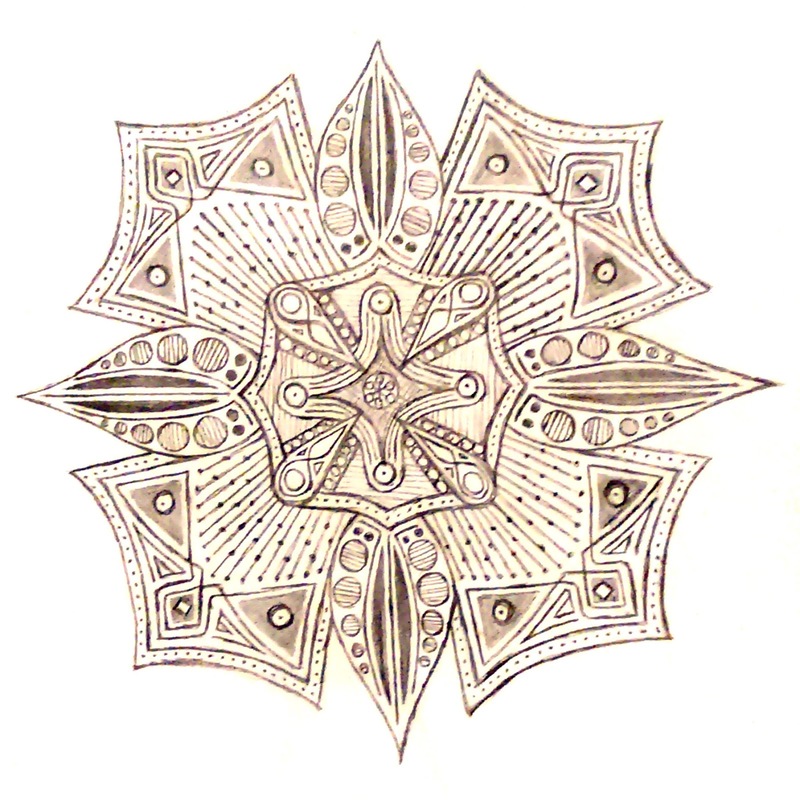 Mandalas are a traditional form of illustration practised in the Buddhist and Hindu tradition. 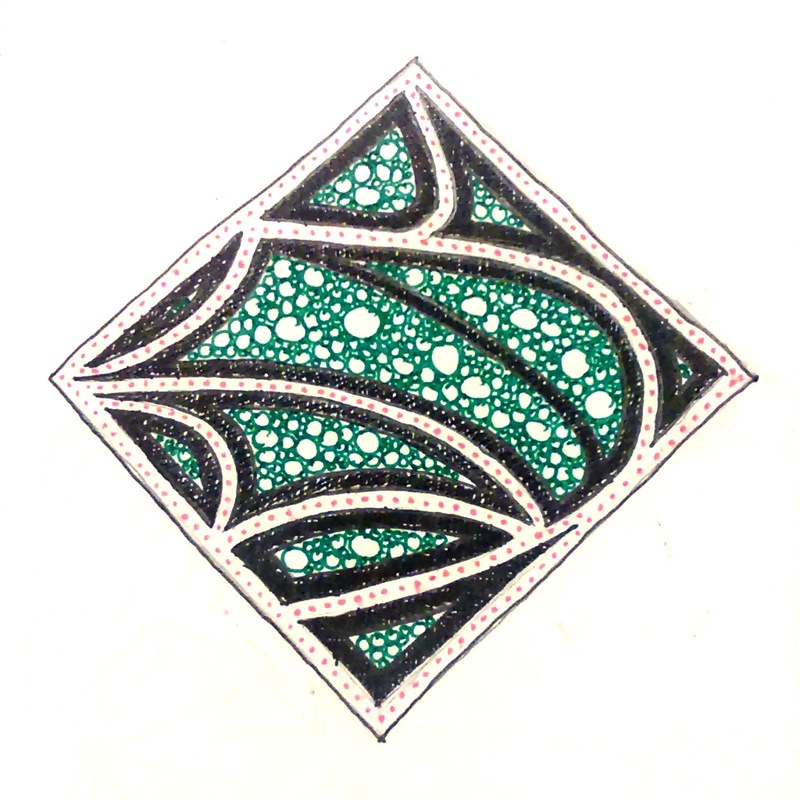 They're used as a tool and drawn as a form of meditative practice and often symbolically represent the cosmos. 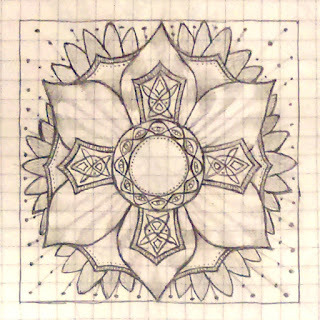 Carl Jung introduced the idea of the mandala to the western world as a sort of balancing practice or as a method of exploring the psyche through art. 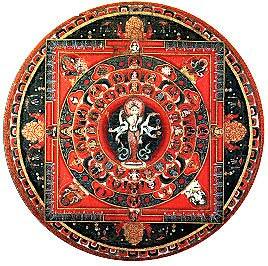 Jung's mandalas did not take the traditional form of the religious art but generally had a similar degree of symmetry. 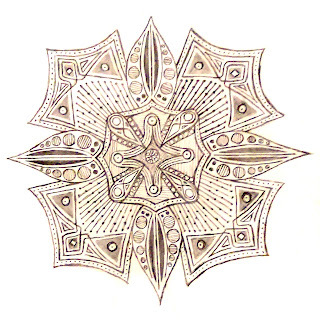 As the elements of the traditional mandala were not present in many of Jung's illustrations they were called mandala in a more liberal use of the term. The drawings I've produced mostly stretch this designation even further however retain an important aspect of mandalas in that they are a meditative form of drawing. Meditation has been an important part of both creative practice and general life for me for several years but the problem with much meditation for me is that it's difficult to get into the proper headspace through typical methods. That being said I have discovered a few activities that have similar effects to meditation. Those effects being clearing the mind of thoughts and being present in the moment. Two of these activities are cycling and (perhaps oddly) welding. 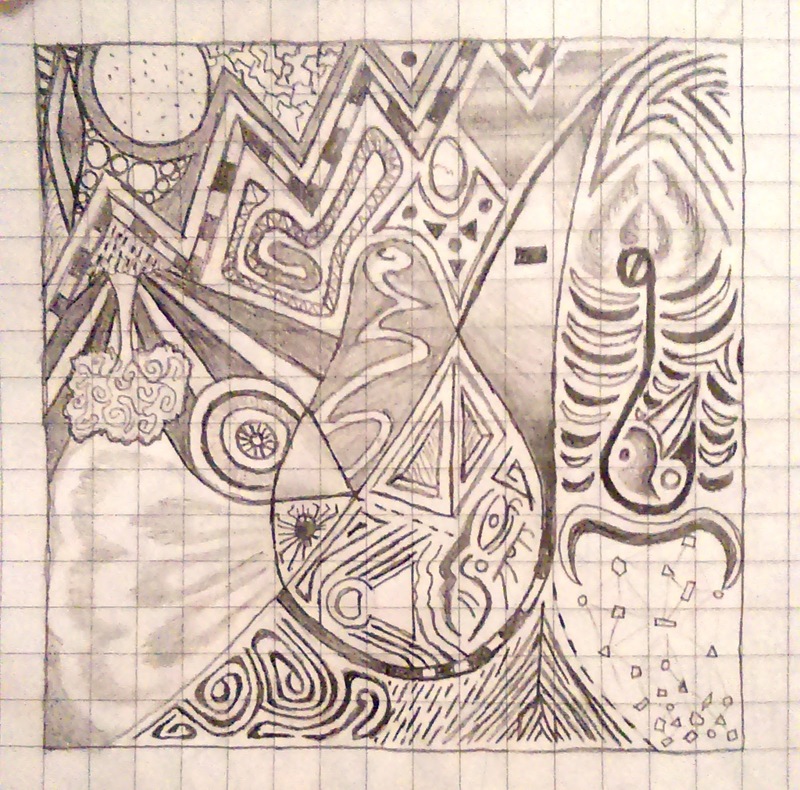 The third, and most relaxing I've found to date has been sketching. 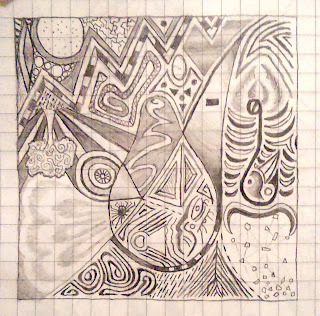 While many of the sketches I have produced have fallen into a similar style to traditional mandala, as they have developed they've shifted significantly to forms without the typical symmetries and often without symmetry at all. 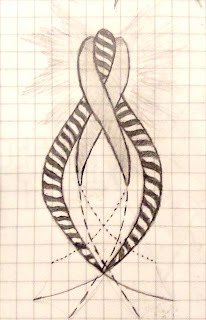 The serpentine image above was the first time I drew anything without planning the final shape of the sketch. This was unusually compelling not knowing where to begin how to proceed and what the final sketch would look like. 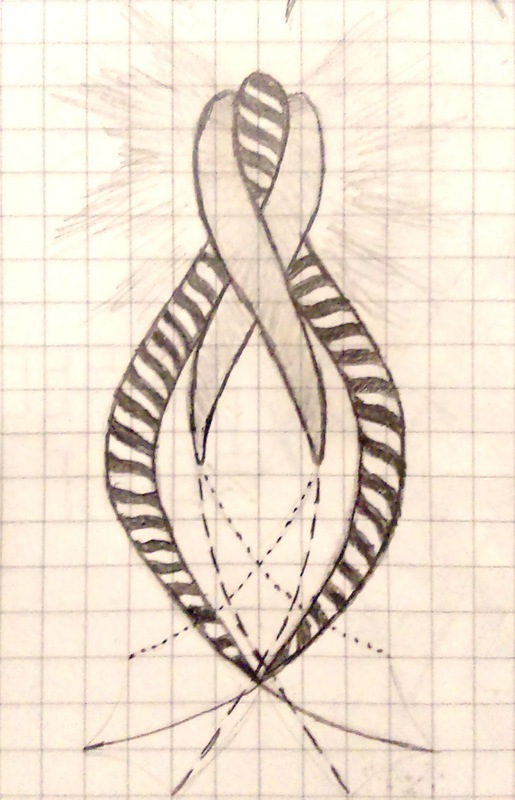 In the image below I did attempt something more resembling a mandala however one of the things I learned from this sketch is that this could also be a good way for me to practice different types of hatching shading and decoration, though this isn't their paramount purpose. The decoration on the drawings is generally also a fairly organic development with decisions often not being made until the pencil touches the paper. The above image was entirely an exercise in free drawing with both the structure and the decoration being created without any pre planning bar the bounding box. 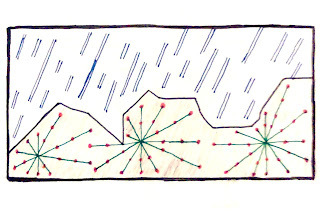 The three sketches below were even more about free drawing the structure of the drawing, though two are bounded by linear outlines the third is not restrained by the same rules. 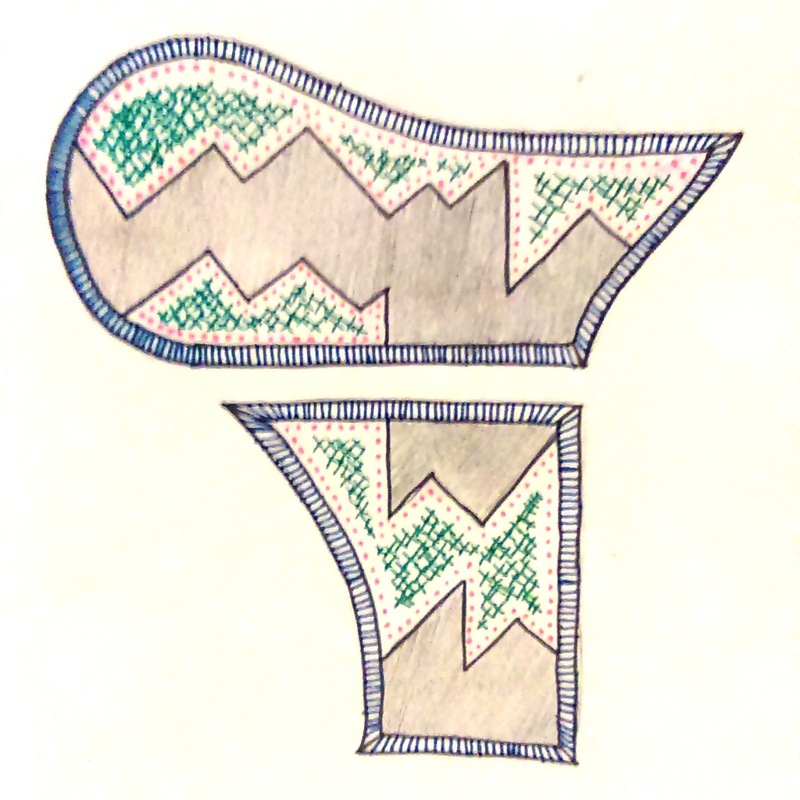 The overall shape of the drawing was determined as the shapes were being drawn. 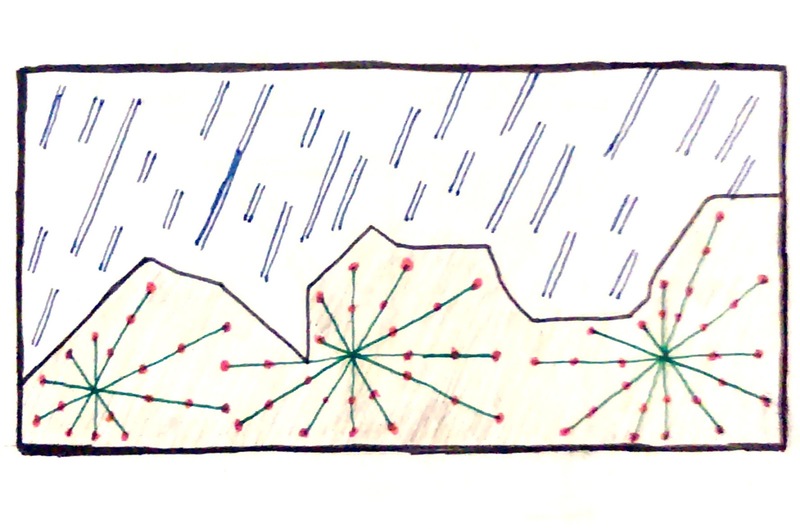 The next image below was the most meditative and yet most simple to date. 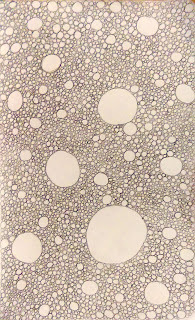 Taking hours to fill an entire page of my sketchbook with circles of varying sizes. 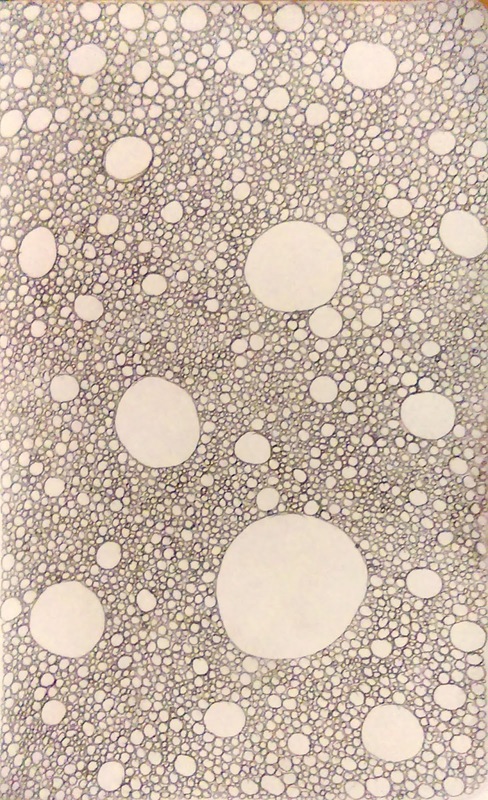 This is my favourite sketch yet and became an almost autosomatic exercise where the only decision to be made was the size of each circle as it was drawn. The final two sketches are similar to each other but not quite the same. 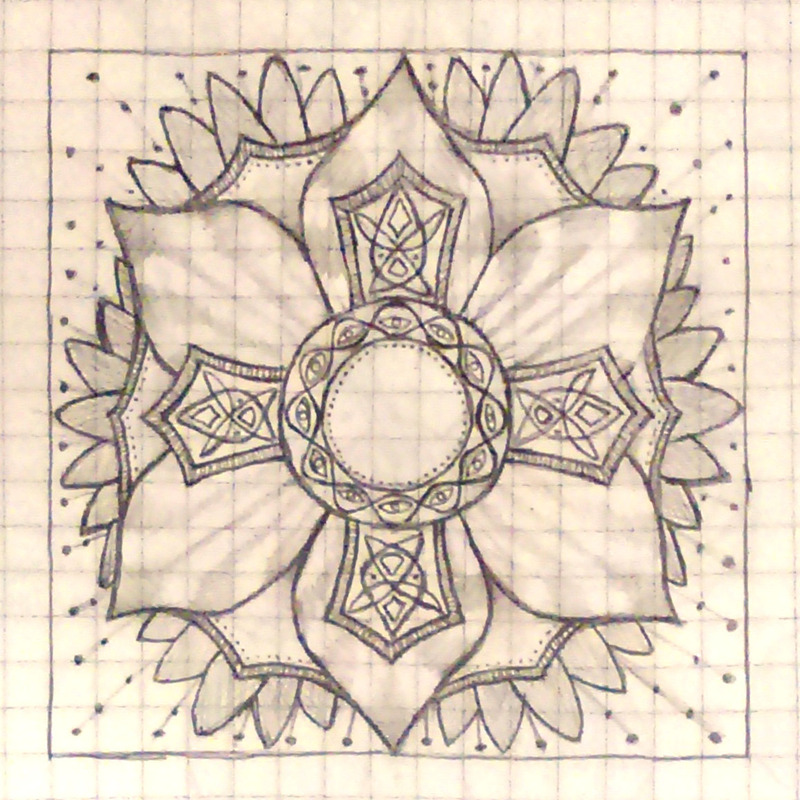 The first is another more traditional mandala style drawing, this time having four fold radial symmetry and thus axial symmetry. As the drawing was made without guides the symmetry is rather imperfect, which is something I can live with here. 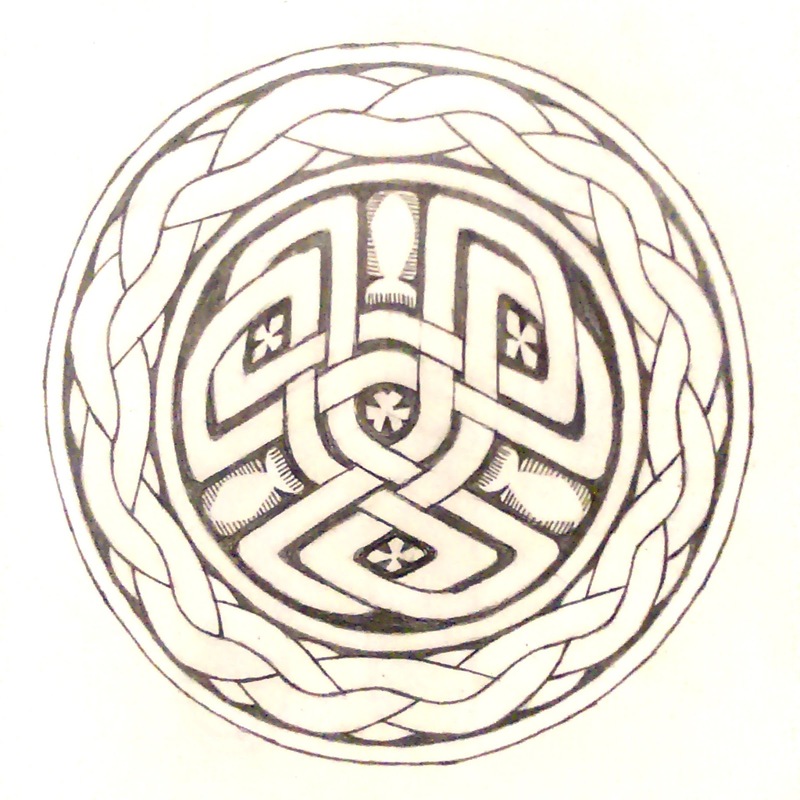 Lastly was my first attempt at a knot which is a form of Celtic decoration. 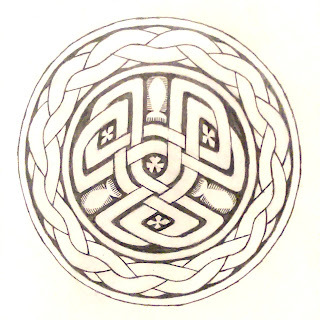 In many ways the form is similar to that of the mandala with symmetrical patterns and traditional motifs. This one required a little more construction and planning but the details and decorations were filled out by the same method as the other drawings above. A great benefit of this form of sketching is that it does not require much outlay to begin. I would be wrong to say the drawings lack purpose but they're not drawn with any purpose in mind. This again echoes back to the idea of meditation. The goal is not to "achieve" anything, the benefit can be found simply in the practice.